Congratulations are in order for THERAPY 2000’s Karen H. Dowling, MCD, CCC-SLP, MBA, FACHE on recently becoming a Fellow of the American College of Healthcare Executives, the nation’s leading professional society for healthcare leaders. Fellow status represents achievement of the highest standard of professional development. In fact, only 7,500 healthcare executives hold this distinction. 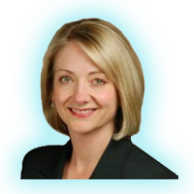 Karen Dowling is responsible for overall operations at THERAPY 2000 and strategic initiatives for the North Texas Region, East Texas, Amarillo, Austin and San Antonio areas of Texas. Karen holds a bachelor’s degree in speech-language pathology and a master’s degree in communication disorders from Louisiana State University. She also holds a master’s degree in business administration from Texas Woman’s University. To obtain Fellow status, candidates must fulfill multiple requirements, including passing a comprehensive examination, meeting academic and experiential criteria, earning continuing education credits and demonstrating professional/community involvement. Fellows are also committed to ongoing professional development and undergo recertification every three years. The American College of Healthcare Executives is an international professional society of more than 30,000 healthcare executives who lead our nation’s hospitals, healthcare systems and other healthcare organizations. ACHE is known for its prestigious credentialing and educational programs and its annual Congress on Healthcare Leadership, which draws more than 4,500 participants each year. ACHE is also known for its journal, the Journal of Healthcare Management, and magazine, Healthcare Executive, as well as ground-breaking research and career development and public policy programs. ACHE’s publishing division, Health Administration Press, is one of the largest publishers of books and journals on all aspects of health services management in addition to textbooks for use in college and university courses. Through such efforts, ACHE works toward its goal of being the premier professional society for healthcare leaders by providing exceptional value to its members. Dowling is privileged to use the FACHE credential, which signifies board certification in healthcare management and ACHE Fellow status. THERAPY 2000 is proud to have her as a leader within the company.